Dublin is a city full of characters, shops and visitors; amazingly heaps of people walking in the main, side and mean streets, from anywhere to somewhere. Like many travellers, I bought a copy of James Joyce’s Ulysses in a bargain bookstore. I should have bought it in the James Joyce Centre. This is my second copy of Ulysses. The first one ended up nowhere, probably in the trash when I moved home. This one, so far, is safely placed on my bookshelf together with other classics. What a waste if you do not read it at once although Ulysses was named the first on the list of 100 Best Novels of Modern Library. The books of James Joyce are sold everywhere in Dublin. But the one I love most is Dubliners. It is a collection of short stories depicting the lives of Dublin in early 20th century. My memory of Paris has long faded. 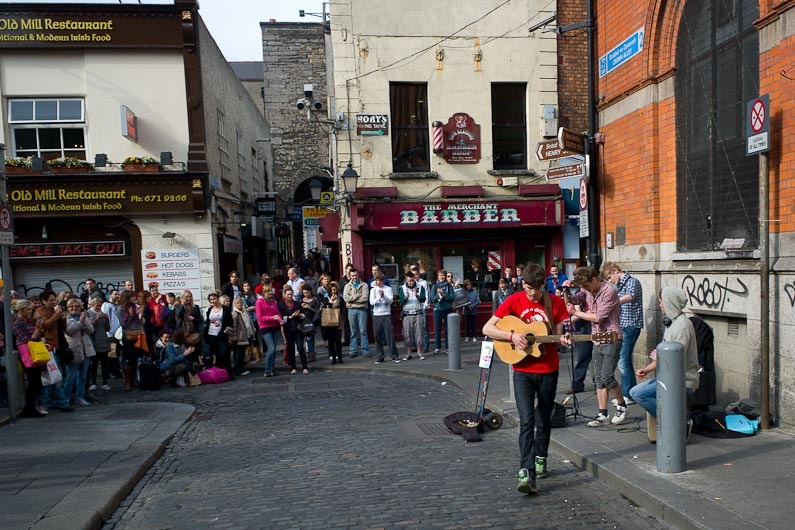 Dublin remains a moveable feast, at any time of the year.